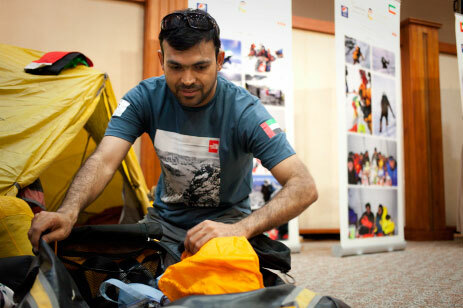 DUBAI // An Emirati mountaineer who has twice conquered Everest has had to postpone a daredevil stunt on the world’s tallest tower – but only by a day. Saeed Al Memari had asked the Burj Khalifa’s owner, Emaar, for permission to climb the side of the building and base jump from the top at midnight during the annual New Year’s Eve firework display. But the company told him it would be too dangerous. Instead, he has been given the go-ahead to complete the stunt on January 1.